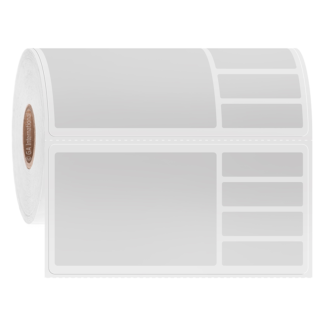 Autoclavable piggyback labels for thermal-transfer printers. These high-temperature resistant labels have a label-on-label multi-layer design, providing a versatile identification solution for various containers and surfaces. 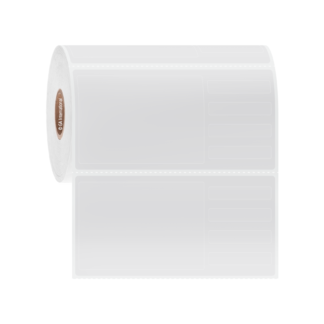 Ideal for metal, glass, and plastic surfaces, these autoclave-resistant labels are perfect for labeling surgical instruments, glassware, blister packs, metal trays and other material destined for sterilization by steam autoclave, in dry heat ovens or by gamma irradiation. Coated with a removable adhesive, these sterilization piggyback labels are glove-friendly and won’t leave any adhesive residue behind upon removal. Their piggyback design, and ability to be printed with 1D and 2D barcodes, makes them the ideal choice for improving your material tracking and overall organization.